Niki’s eye for colour and geometry really comes out here. 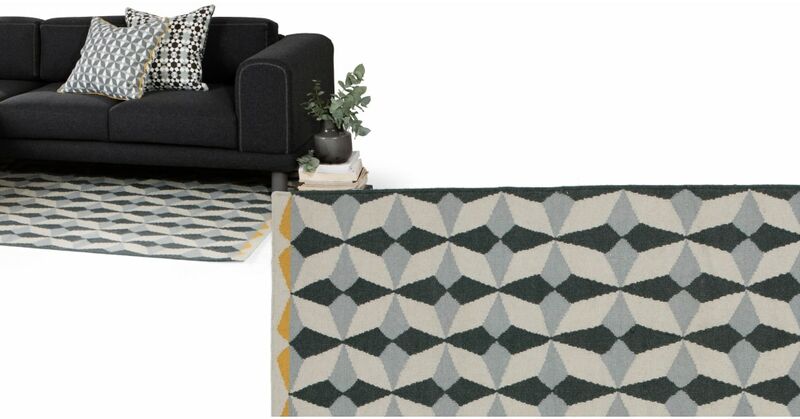 This rug is brilliantly abstract and colourful without overwhelming the room. Made from 100% wool, so your toes will love it. The Etruria rug is designed to complement the cushions in the collection. The result? A finished, coordinated look that avoids being overly matching.